Unfortunately, you shouldn’t take the robes. If there’s one thing most hotels reliably have in their rooms, it’s soap. And according to Ousman Conteh, general manager at Claridge House Chicago, these mini bottles are OK to take from your hotel room. “Often hotels receive negotiated pricing for items from another brand,” he says. However, Curt Asmussen, managing director of ObieHospitality, notes that it’s not encouraged to take these items—but guests aren’t penalized in any way if they do. Much like the mini soaps stocked in the bathroom, the travel-size shampoo and conditioner are also fine to take from your hotel room. Hotels sometimes brand these items too, Contech says. So taking their shampoos and sporting the hotel brand name gets the word out about their them, also. These paper items also usually have the hotel brand name on them and serve as a marketing tool. Feel free to take them with you! Sheets—and the following items—are the ones you shouldn’t take from hotel rooms. As McCreary explains, the hotels’ goal is to prepare the perfect room for the next guest. Taking pricy essentials, like sheets, make it harder for hotel staff to do their job. 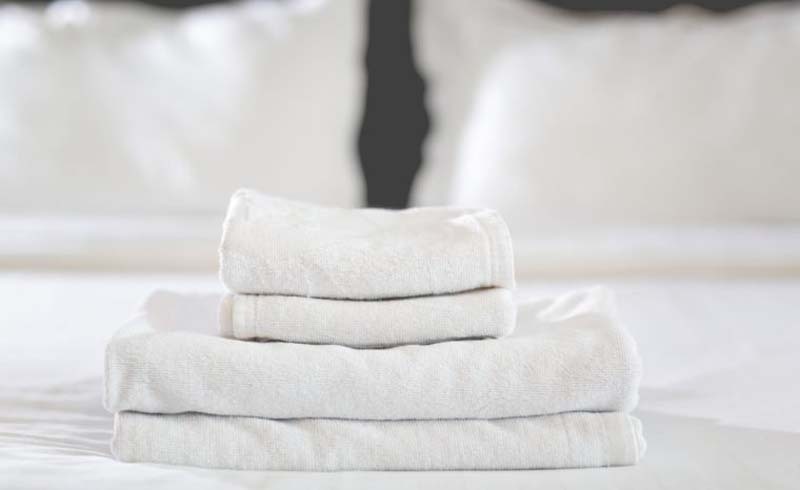 According to the Telegraph, however, 68 percent of people in a survey admitted they steal linens and towels from hotel rooms. Beware that some hotels can track stolen towels thanks to electronic tags, HuffPost reports. 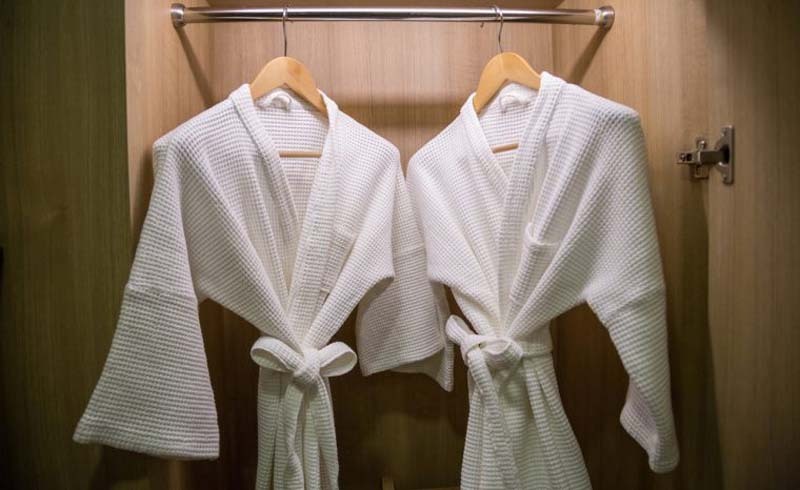 These plush robes are one of the most common items people think they can take from hotel rooms, but can’t, according to Contech and McCreary. Slippers, on the other hand, won’t be used again and are typically OK to take. There is a chance that taking these items from your hotel room could lead to consequences beyond an extra charge to your room—including being “blacklisted,” NBC reports. Hotels keep a record of guests who trash hotel rooms or steal items and might ban these people from booking rooms again. In rare scenarios, some people could get arrested. The Telegraph reports a couple in Japan was arrested for stealing robes and an ashtray. It’s better to be safe than sorry, so only take the complimentary items that you really need. Remember, just because you can take something doesn’t mean you should.